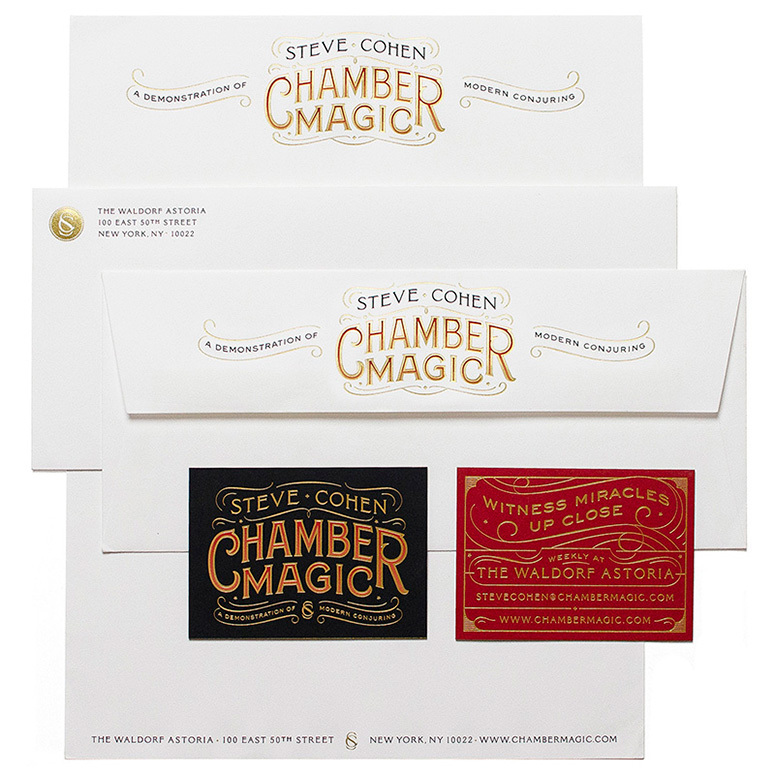 Steve Cohen contacted me to create a logo and stationery set that reflected his intimate approach to Chamber Magic, his ongoing magic show at the Waldorf Astoria. 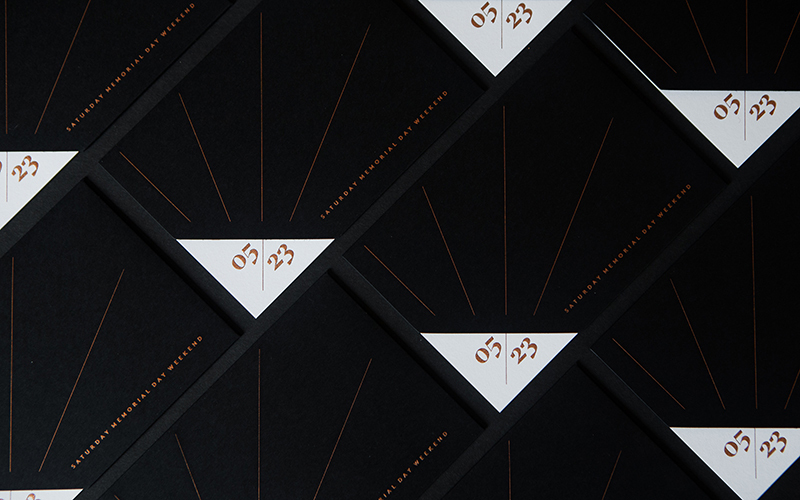 Using magic show posters from the late 1800s as inspiration, we printed these 3-color business cards (printed by Mama's Sauce) and stationery set (printed by Gottschall Engraving)–gold foil, with a gradient of red and orange. 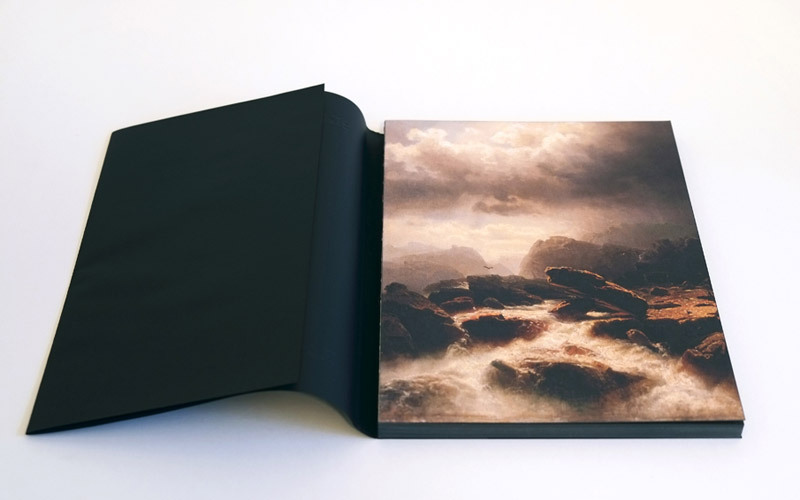 This gradient was particularly difficult to achieve in both screen printing and engraving, but both printers pulled it off spectacularly. 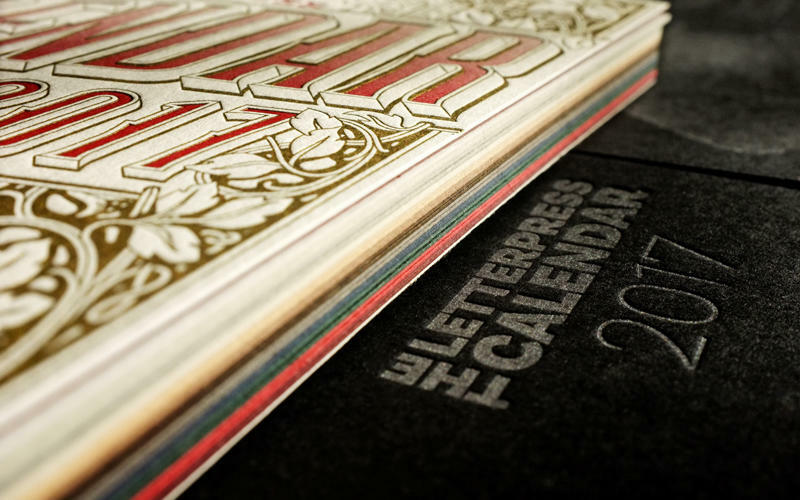 Never accept an inferior product! 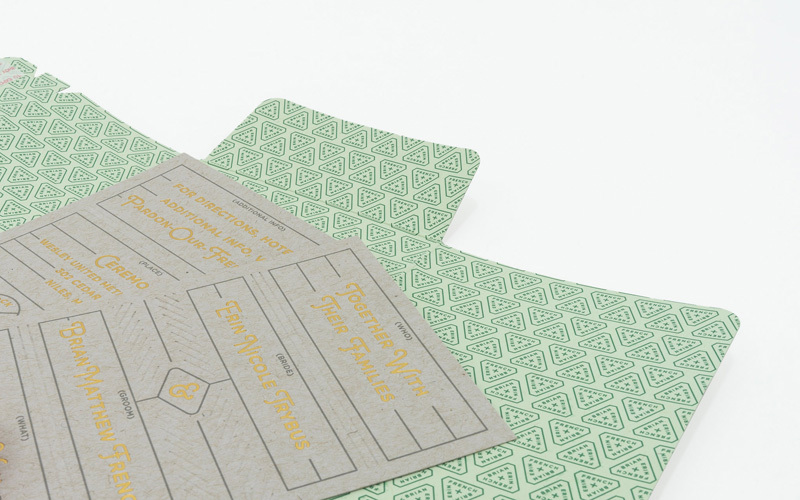 It was very difficult to find a printer who could properly register and print the letterhead and envelope, but it was well worth the effort. 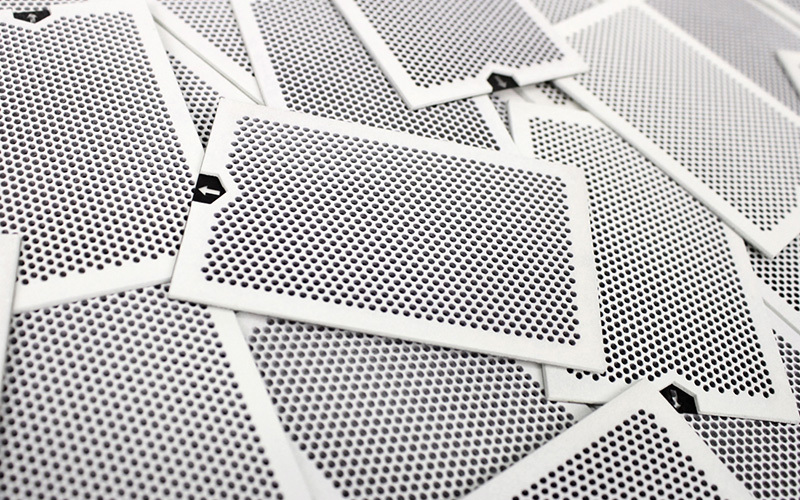 Also, limitations can become opportunities. 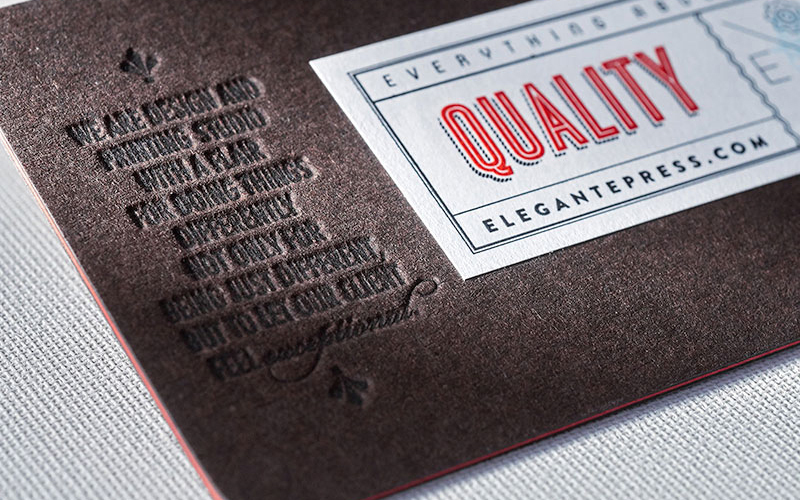 The original plan for the business card was to have it black paper on both sides. 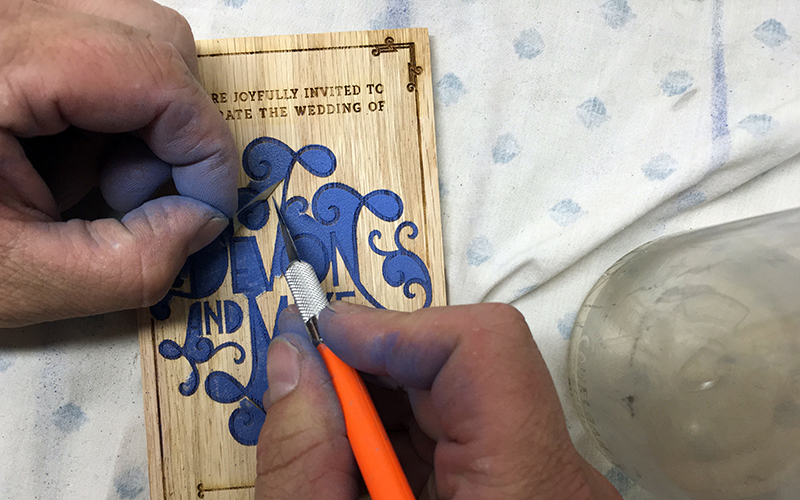 However, the client requested a lighter color on one of the sides so that he could write on it if needed, which led to the use of red paper on the back. 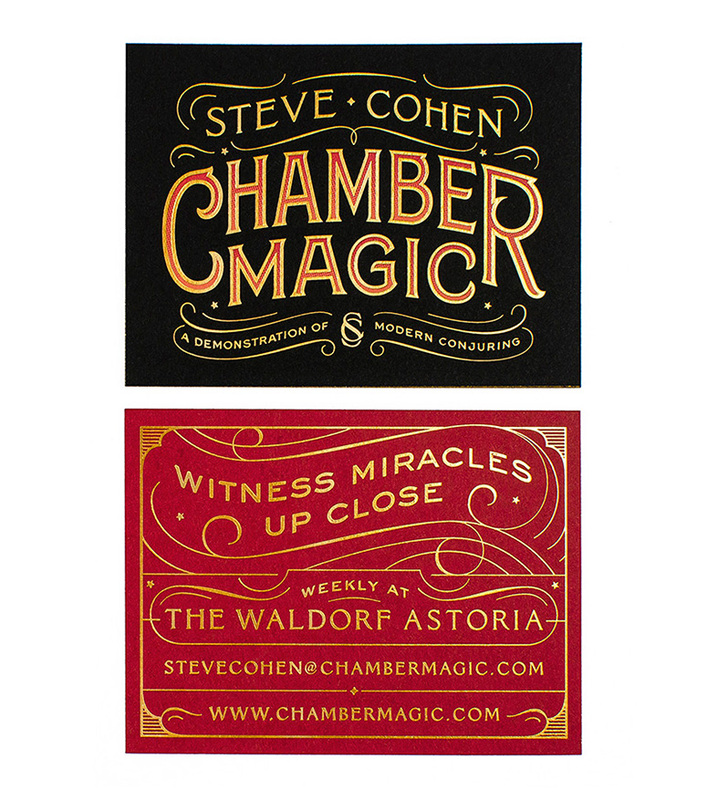 Coined the \"millionaire's magician,\" Steve Cohen is an illusionist specializing in parlor magic at the Waldorf Astoria and private parties. 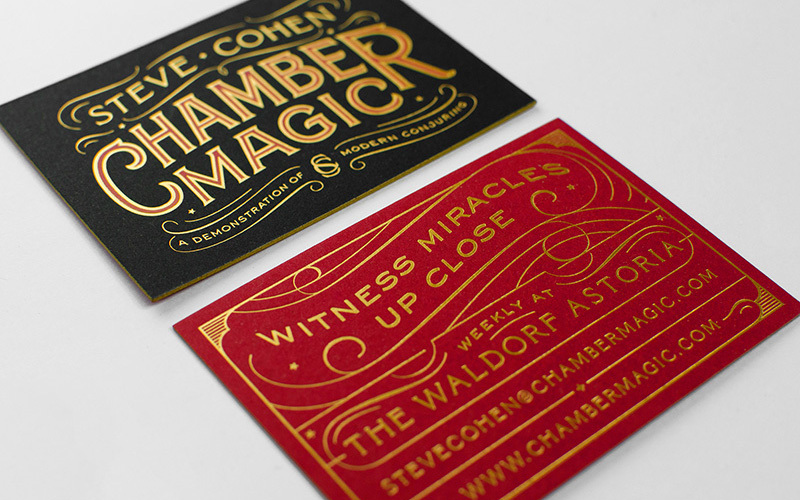 Drawing from nineteenth-century magic show posters, designer Spencer Charles conjured an engraved, silkscreened, and foil stamped stationery set to match Cohen's sophisticated chamber style.